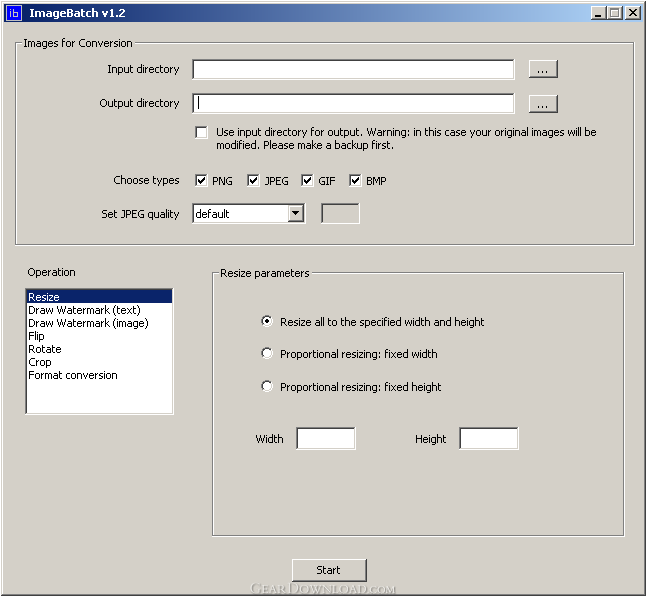 With ImageBatch you can convert your images from one format to another, resize, crop, rotate, flip and draw watermarks on them. This download (ImageBatch.zip) was tested thoroughly and was found 100% clean. Click "Report Spyware" link on the top if you found this software contains any form of malware, including but not limited to: spyware, viruses, trojans and backdoors.